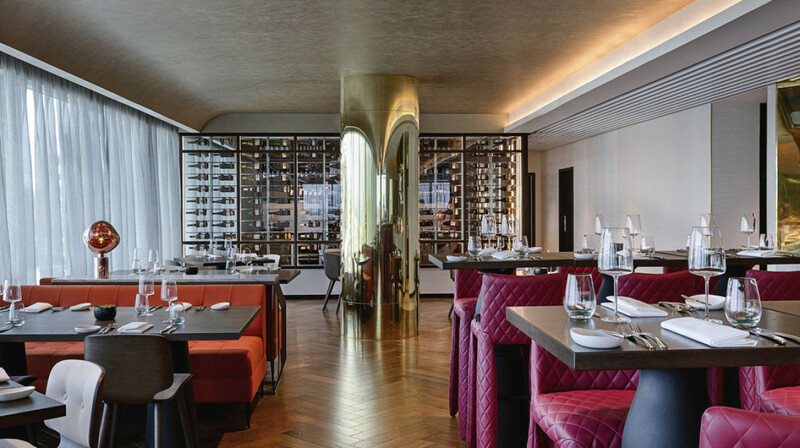 Exquisite French food with stunning views; this is Harbour Society. 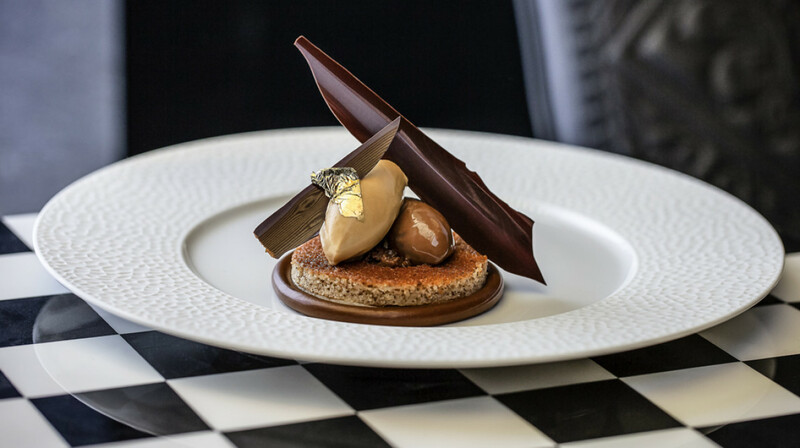 Headed by the renowned chef, Marc De Passorio, expect to be served the finest French cuisine that definitely deserves a spot on your Instagram feed. 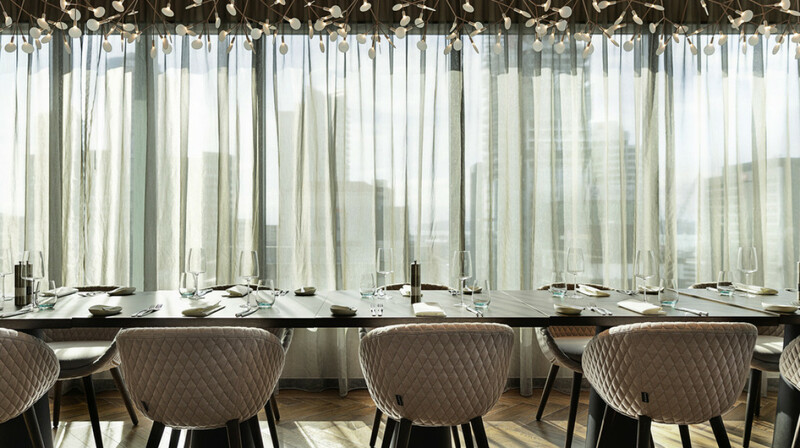 Located in the SO Auckland Accor Hotel, the interior is as crisp and refined as the presentation of the food. Blues, white and greys make it a relaxing space and the view has to be seen to be believed. 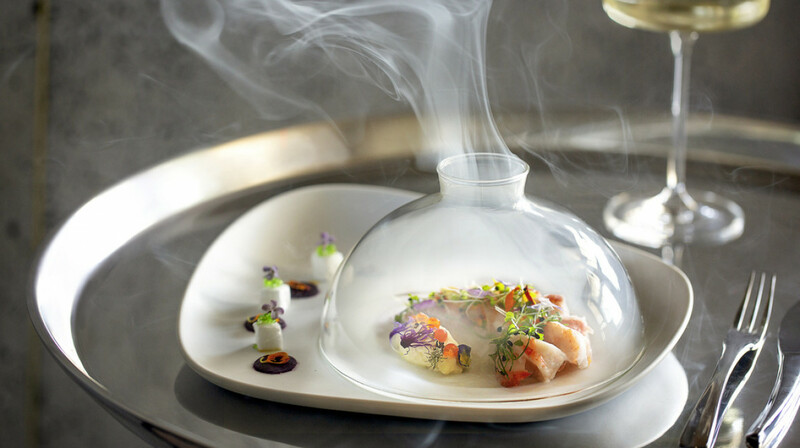 For the sublime dishes on offer, no expense is spared for their seasonal menu. This season start as you mean to go on with mushroom ravioli coated in truffle and potato cream. Then, move on to exquisite cuts of lamb and beef from New Zealand and Australia. 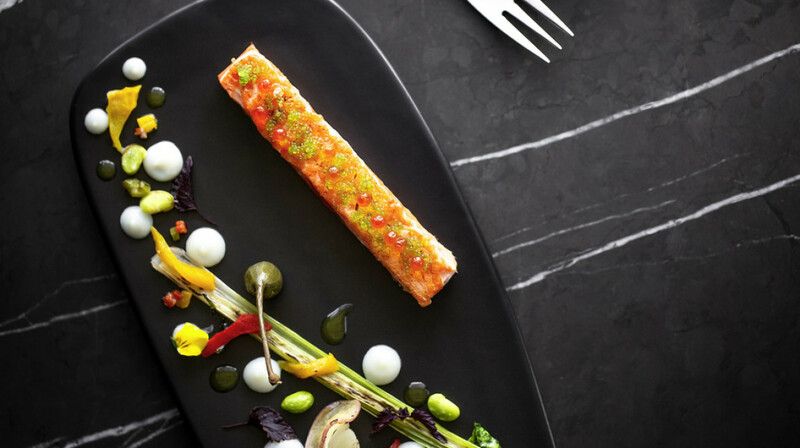 Alternatively, try their fish or vegetarian dishes that celebrate classic French flavours with an innovative twist! 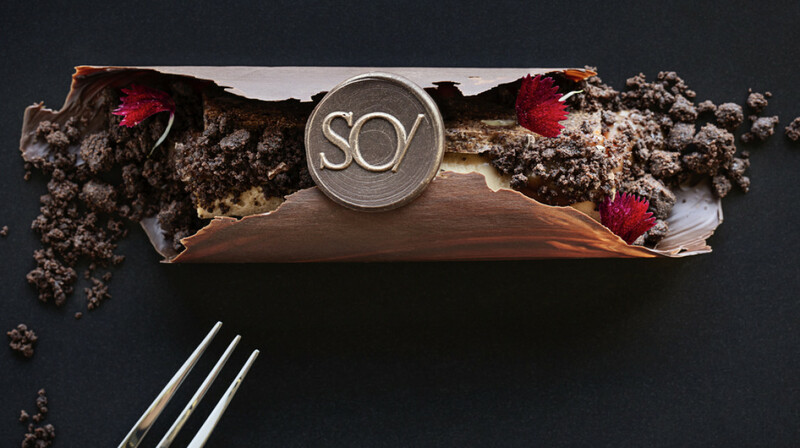 If you’re looking for a lunchtime spot, indulge in Harbour Society’s set menu which also only uses seasonal ingredients. Great service from the staff. Food was good, the crayfish starter was a particular standout. My husband and I had a fantastic evening. The team were very friendly and attentive. Our waiter was extremely nice and accommodating. He took time to explain some of the dishes to us and made a few recommendations. We had a lovely table overlooking the city which we weren’t expecting as we were First Table customers. The food was delicious. We were not rushed at any time during our meal and were told to take our time, after our meal we didn’t feel like they were waiting for us to leave. Top marks for making our evening special. We’d love to dine there again sometime. If you like French cuisine, this is the place for you. New restaurant with fantastic view of the Harbour. Very nice interior deco with a touch of class. Staffs are French which bring another layer of Fench experience. The food is top class with the highlight being to signature "Lobster entree". I went there with my family for my Brithday celebration. Safe to say we had a memorable evening. Bon appetit. This place was amazing. Went with 4 friends but would recommend it to anyone wanting to dine out somewhere fancy. 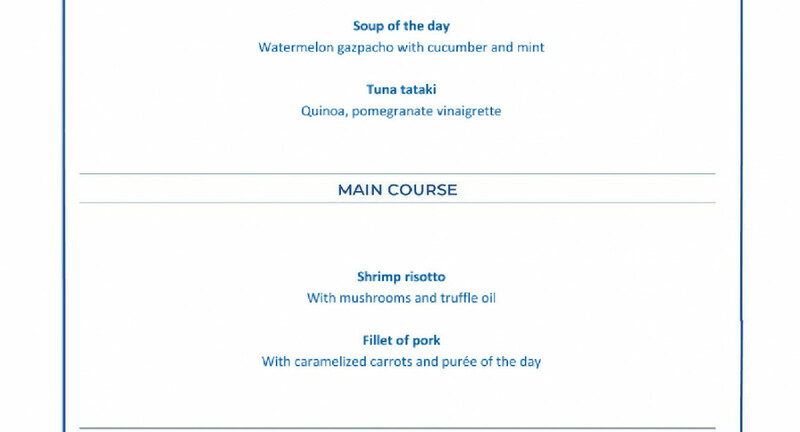 I had Ora King Salmon as my main dish which was the best. Love their beautiful plating and their service was also extremely welcoming and friendly. Thank you for the great experience! warm & friendly service from the lovely lady who ushered us to our table, outstanding food, faultless service from Nikhil and most importantly our son whose birthday we were celebrating was a very satisfied teenager. We enjoyed all our meals and the service was excellent! Great food in a lovely environment. Good service, very friendly staff. Amazing ambience, amazing food, amazing service. I had a truely five star experience! I’m looking forward to the next time I’m lucky enough to dine here! Everything was pleasant from the moment we entered and left the restaurant! It was my partner’s birthday when I descided to book Harbour Society through first table. We were served with bread with a nice truffle butter while waiting, plus a complimentary tasting of Hapuka. The menu wasn’t long so it was easy for us to pick what we want. We ordered 2 entree, a couple of mains and one dessert to share. There was also a birthday note with a dark chocolate writing to my partner. The views from the restaurant is amazing! Customer service is 11/10. Really lovely setting with a fantastic view and very attentive staff. We didn’t need to ask for anything. Food was beautifully presented and tasty. Massive wine list to choose from. Would definitely dine here again. The tasty foods with brilliant presentations. Beautiful views! Love to visit this restaurant again. 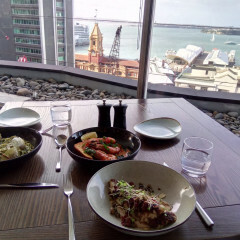 The overall experience was fine but as there are so many nice restaurants in Auckland, we may not choose to go back again. The entrees were good (we ordered crayfish and oysters). The main I order was the medium-rare lamb shoulder, but it was a bit too rare too pinky and it came with a bit burnt smoky smell. My husband's beef was also too rare. The desserts were the highlights. The sweetness was perfect and the settings were very pretty. The service was friendly and helpful but the staff approached us too frequently. That was quite a pressure for us as customers. Warm and welcoming service, water glasses refilled throughout the meal, dishes wonderfully displayed and explained. Complementary treats was a bonus. Personal favorite was the scallops. The view outside, despite all the construction work - was beautiful over sunset. 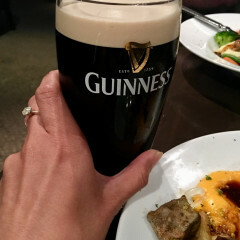 Would come again. Superb...service, delicious , mouthwatering foods,... all three of us said...WOW,...as each course was served. Choice of wine...very simple as we were offered a taste to decide between the two contenders. Memorable occasion and the ambiance added to our delight. We had lunch on a Sunday, the restaurant was quite perfect to enjoy the delicious food and the great view. The service was perfect. You can taste French bread while waiting your first dishes. As entrée we ate the cream of cauliflower with prawns (it was delicious, my favourite part of the lunch). As main courses we ordered the Tarakihi with ratatouille and the pork, both were very nice. As a treat we shared chocolate gazpacho with sablé and orange. Food was amazing. The complimentary bread and truffle butter was really good. Highly recommend ordering the duck breast. Great service and nice views. Spectacular food. Fantastic and friendly service. Superb wine list. Highly recommended! Amazing service, excellent food. Can’t ask for more! The service was great as soon as we stepped into the restaurant and staff remained helpful and attentive throughout. The restaurant itself has a very nice and cool vibe, the view was also great. The menu was extensive and the food was all presented nicely. Flavours were new and interesting. There were also a few complimentary sides that came with the meal which was a nice surprise. Overall, a very enjoyable experience and I would definitely recommend this restaurant! The service was outstanding. Nikhil was the perfect host. Food was beautifully presented. Great views and lovely ambience. 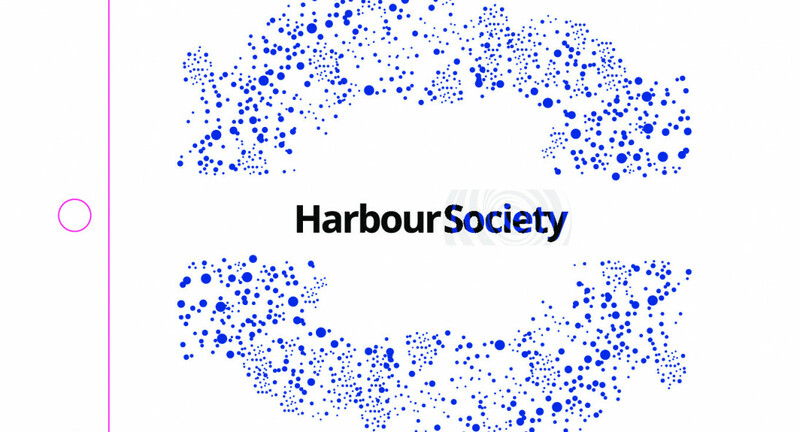 We had a memorable time at Harbour Society. Many thanks to Nikhil, Arjun & Terry. Loved the experience. Food was divine and staff were absolute lovely. Attentive and friendly and very welcoming. Thanks for making a very rare night out so enjoyable. We had a fabulous time! Excellent food, delightful service, fabulous views!! Food was good. You should try the cauliflower soup and the coconut inspired dessert. Service was amazing! Beautifully presented food with a Southern French flair, technically very competent albeit with couple minor lapses on this occasion, great ambiance and service. Wonderful staff, presentation of food was amazing. 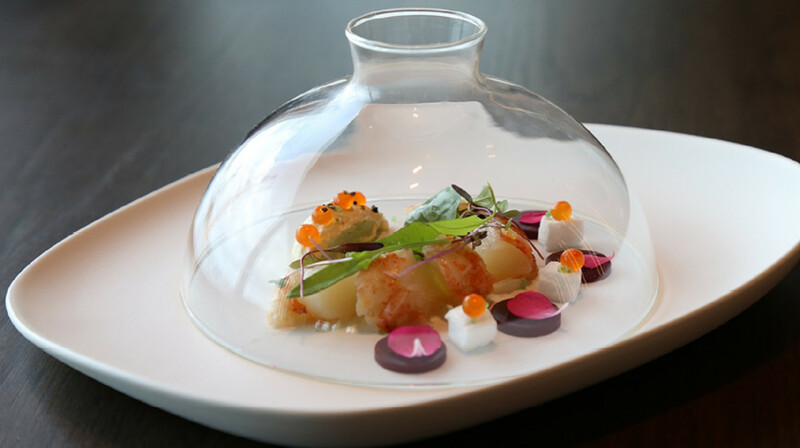 The crayfish entree is a definite must try! Food was wonderful. Bread was one of the best I’ve had in Auckland. Highly recommend! Amazing food and views! Great staff! The experience was fantastic. We couldn't fault the service, our servers were very knowledgeable. The food was beautifully presented and great original flavour. The little extras were unexpected and so delicious. The evening was perfect. Definitely will be returning. Fantastic food, great view and amazing staff. From the moment we entered the premises we were greeted by friendly staff and this was consistent throughout the night. I appreciated the fact that they took the time to explain the menu and what various items were. Staff were knowledgeable and attentive and were a great example of what service should be. Food wise the presentation was excellent, taste wise good but I felt like it missed a wow factor. Highly enjoyed my time here and would return again. Excellent service and food with harbour view. It was very enjoyable dining experience. We will definitely want to go another time. The experience was flawless from start to finish. Service was attentive, our server was very knowledgeable but didn't bombard us all the time. 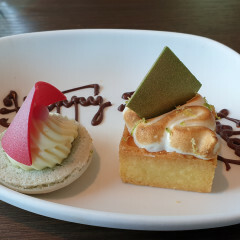 The food was beautifully presented and the flavours on the plates were delicious. Had been looking forward to trying this place since it opened and it did not disappoint. 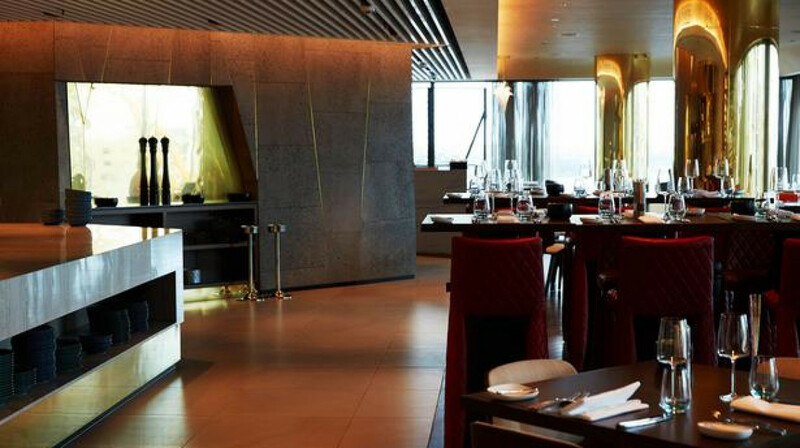 From the gorgeous views to the superb food and excellent service, Harbour Society is definitely a must visit. Will definitely be back. Wonderful service, fabulous views, delicious food and wine. Go! The food and service at this fine dining restaurant has beyond my expectation, and is absolutely amazing! It was my daughters’ 18th birthday, and we received a surprising dissert dish at the end with candle and birthday song. We had a wonderful evening here with knowledgeable and friendly staff, and highly recommend this place in Auckland! Our dining experience was amazing. Food was excellent in the short time we had to dine. The chef was very accommodating in terms of time and dietary requirements and the waiters were so helpful. I strongly recommend trying this place 10/10! A wonderful evening from the service, to the food to the special attention. 10/10 from start to finish. Great wine selection. Fine dining at it's best. Really nice location and decor, was seated right by the window with a view from the 16th floor. Service was good, and the food was delicious - especially the 2 mains (snapper and chicken dishes). Well priced meal even without first table discount.